I was liking it but II stopped playing it because the racist comment. This comment is unnecessary since you are pretty much repeating the same thing you said in your first comment. Woah woah there, partner. It's a common glitch on Mobile devices where it'll post something twice. Alright, I read the plot, and now I know I must download and play this whole episode. cat planet cat planet cat planet!!! 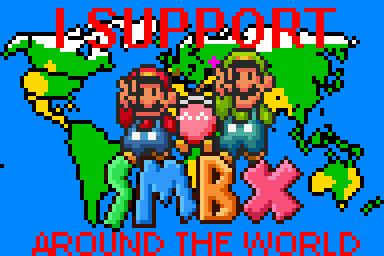 The only palette people care about is the SMB3 palette. These tomatoes weren't debugged properly! Wow, this is a great episode, gotta love those charming custom GFX! To get past the "Laddergate" level, just climb up the looonnng ladder to the top. (I used one that is finishable and does not contain a Star). but at least you will be able to finish it. I only played the first two levels, they were really cool. 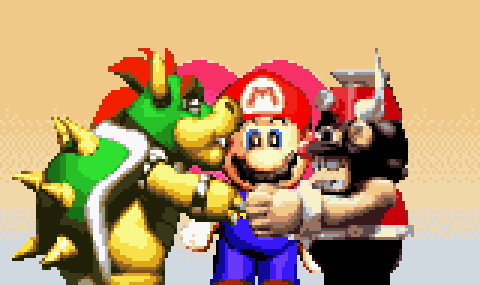 I especially like the friendly Koopas in the second level.